(They may have imperfections. :) We will always find a great solution for you. We are closed over the weekend. item 2 GUILD WARS TRILOGY~2005-2008 VG/C PC DVD-ROM~INCLUDES ACCESS KEY ~GOLEM HERO! -GUILD WARS TRILOGY~2005-2008 VG/C PC DVD-ROM~INCLUDES ACCESS KEY ~GOLEM HERO! item 7 GUILD WARS TRILOGY~2005-2008 VG/C PC DVD-ROM~INCLUDES ACCESS KEY ~GOLEM HERO! 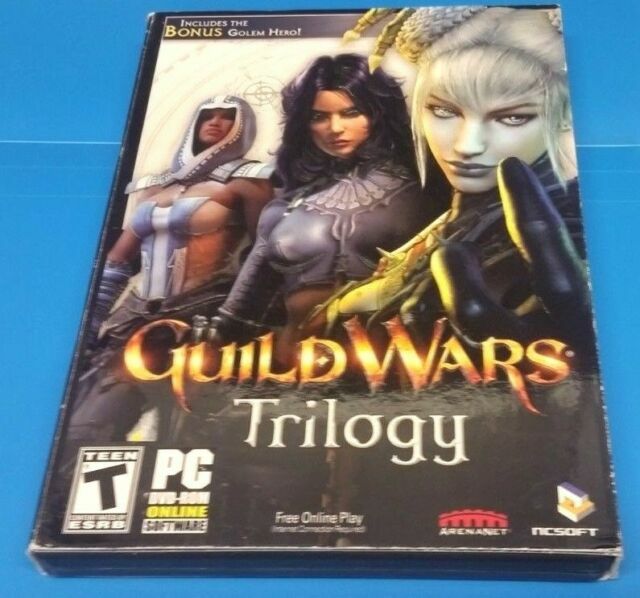 -GUILD WARS TRILOGY~2005-2008 VG/C PC DVD-ROM~INCLUDES ACCESS KEY ~GOLEM HERO! I play this game, DO NOT BUY USED. The codes are a one time use. If you are looking for a reasonable priced game, no monthly fees, this is the game for you. There are so many avenues to get this game, Steam, the publisher just google guild wars. It's a great time waster with no monthly fee. Keeps account together for 2 years even when inactive. Tons of content and constant expansions. There was no access key so unusable. I wrote to supplier two weeks ago and haven't heard back at all. i have not got this item and it been 2 days after the time it was to be here.plz get a holed of me so we can fix these.